Click to see the full cartoon in a vertical format. Click to see the full cartoon in a horizontal format. This was written by admin. Posted on Tuesday, October 2, 2018, at 1:40 am. 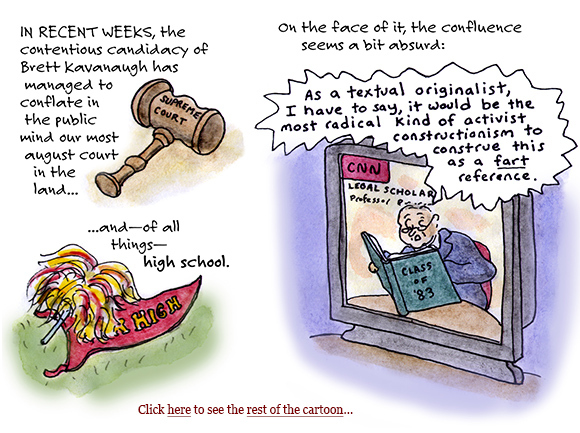 Filed under beer, cartoon, Kavanaugh, kids, Supreme Court. Bookmark the permalink. Follow comments here with the RSS feed. Both comments and trackbacks are currently closed.